Ring joint gaskets come in two basic types, an oval cross section and an octagonal cross section. These basic shapes are used in pressures up to 10,000 psi. Moreover, RTJ types RX and BX which can be used up to 15,000 psi are also available at Masterpac. We stock a wide range of sizes and materials ranging from soft iron, stainless steel, and special alloy at our warehouse ready for immediate shipment. Type R Ring Joint Gaskets are manufactured in both oval and octagonal configurations. Both styles are be able to interchanged on the modern flat bottom groove, however only the oval style can be used in the old type round bottom groove. The octagonal cross section has a higher sealing efficiency than the oval and would be the preferred gasket. 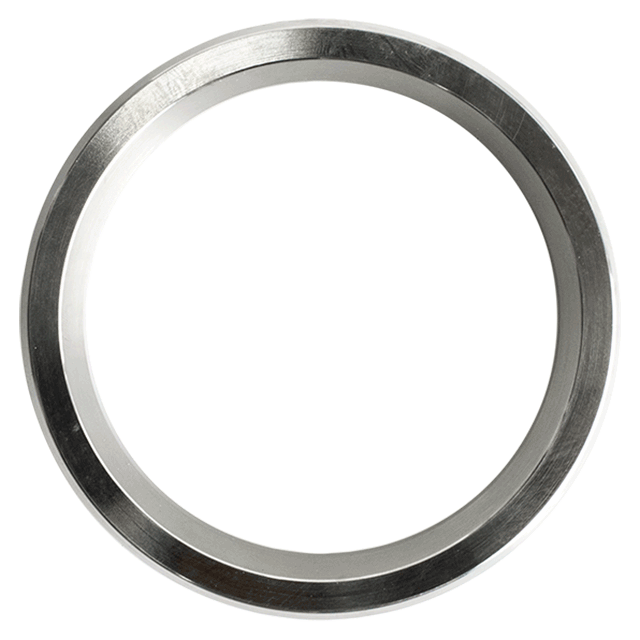 At Masterpac, we manufactures our Ring Joint Gaskets to fully comply with the ASME B16.20 standard and the API 6A standard. Type RX Ring Joint Gasket is a pressure-energized adaptation of the standard Type R gasket. The RX is designed to fit the same groove design as a standard Type R, making the joints interchangeable. The modified design uses a pressure-energized effect that improves the efficiency of the seal as the internal pressure of the system increases. Ring Joint Gaskets Type BX are manufactured in accordance with API 6A and are designed for use on pressurized systems up to 20,000 PSI. When correctly fitted, the style BX Ring Joint Gasket allows virtual surface-to-surface contact of the flange faces, which means that the Ring Joint Gasket is fully trapped on both the inner and outer diameters. All BX Ring Joint Gaskets incorporate a pressure balance hole to ensure equalization of pressure that may be trapped in the grooves.